This warranty is issued to the original owner only and is not transferable to subsequent owners. TO PLACE THE EQUIPMENT UNDER WARRANTY, THE WARRANTY REGISTRATION CARD MUST BE COMPLETED AND RETURNED BY THE OWNER TO HAGUE QUALITY WATER INTERNATIONAL WITHIN 30 DAYS OF INSTALLATION. This warranty covers the Hague Equipment delivered to the original owner, when the system is purchased for personal, family or household use. It is intended to cover defects occurring in workmanship or materials or both. Hague Quality Water International warrants that upon receipt from the original owner of The Hague Equipment Mineral Tank, Brine Tank, found to be defective in material or workmanship, Hague will replace said part(s) at no charge for those parts for 5 YEARS from date of installation. And thereafter, will replace said parts upon payment of the following percentages of the then current list price: 6th through 10th year - 50% of current price list. Hague Quality Water International further warrants that upon receipt from the original owner of The Hague Equipment Valve and/or Power System Components (i.e. complete valve or controller) found to be defective in material or workmanship, Hague will replace said part(s), at no charge for those parts, for 3 YEARS from date of installation. Defective parts to be replaced must be returned, along with the equipment serial number and date of original installation, to Hague Quality Water International PREPAID and will be returned to the original owner FREIGHT COLLECT. THERE ARE NO WARRANTIES OTHER THAN THOSE DESCRIBED IN THIS WARRANTY INSTRUMENT. THIS WARRANTY DOES NOT COVER INCIDENTAL, CONSEQUENTIAL OR SECONDARY DAMAGES. ANY IMPLIED WARRANTIES ON THE PRODUCT DESCRIBED IN THIS WARRANTY WILL NOT BE EFFECTIVE AFTER THE EXPIRATION OF THIS WARRANTY. This warranty does not cover any labor or service call costs incurred with respect to the removal and replacement of any defective part(s). Hague Quality Water International will not be liable for, nor will it pay any labor or service call charges incurred or expended with respect to this warranty. In the event the water supply being processed through this product contains bacterial iron, algae, sulphur, tannins, organic matter or other unusual substances, then unless the system is represented as being capable of handling these substances in the system specifications, other special treatment of the water supply must be used to remove these substances before they enter this product. Otherwise, Hague Quality Water International shall have no obligation to supply replacement parts under this warranty. This warranty does not cover damage to a part(s) of the system from causes such as fire, accidents, freezing, or unreasonable use, abuse or neglect by the original owner. This warranty does not cover damage to part(s) of the system resulting from improper installation. All plumbing and electrical connections should be made in accordance with the installation instructions provided with the system. The warranty does not cover damage resulting from use with inadequate or defective plumbing, inadequate or defective water supply or pressure; inadequate or defective house wiring; improper voltage, electrical service or electrical connections; or violation of applicable building, plumbing, or electrical codes, ordinances or regulations. This warranty is null and void unless the Hague Maximizer System was purchased at retail from an independent authorized Hague dealer and installed by same. No dealer, agent, representative or other person is authorized to extend or expand this limited warranty. Some states do not allow limitations on how long an implied warranty lasts or the exclusion or limitation of incidental or consequential damages, so the above limitations or exclusion may not apply to you. This warranty gives you specific legal rights and you may also have other rights which vary from state to state. TO PLACE THIS EQUIPMENT UNDER WARRANTY, THE WARRANTY REGISTRATION CARD MUST BE COMPLETED AND RETURNED BY THE ORIGINAL OWNER TO HAGUE QUALITY WATER INTERNATIONAL WITHIN 30 DAYS OF INSTALLATION. This warranty covers the Hague WaterMax® Appliance delivered to the original owner when the appliance is purchased for personal, family, or household use. It is intended to cover defects occurring in workmanship or materials or both. Warrantor’s Performance and Length of Warranty Hague Quality Water International warrants that upon receipt from the owner of any Hague Media Tank, Brine Tank, Main Control Valve, or the fine mesh polystyrene resin found to be defective in material or workmanship, Hague will repair or replace the defective item, at no charge for that item, for 25 YEARS from date of installation. All defective parts must be returned, along with the equipment serial number and date of original installation, to an authorized Hague dealer of Hague Quality Water International PREPAID, and replacement parts will be returned by Hague to the owner FREIGHT COLLECT. This warranty is null and void unless the Hague Appliance was purchased from an independent Hague dealer. THERE ARE NO WARRANTIES OTHER THAN THOSE DESCRIBED IN THIS WARRANTY INSTRUMENT. This warranty does not cover any service call or labor costs incurred with respect to the removal and replacement of any defective part or parts. Hague Quality Water International will not be liable for, nor will it pay service call or labor charges incurred or expended with respect to this warranty. In the event the water supply being processed through this product contains sand, bacterial iron, algae, sulfur, tannins, organic matter, or other unusual substances, then unless the appliance is represented as being capable of handling these substances in the appliance specifications, other special treatment of the water supply must be used to remove these substances before they enter this product. Otherwise, Hague Quality Water International shall have no obligations under this warranty. This warranty does not cover damage to a part or parts of the appliance from causes such as fire, accidents, freezing, or unreasonable use, abuse, or neglect by the owner. This warranty does not cover damage to a part or parts of the appliance resulting from improper installation. All plumbing and electrical connections should be made in accordance with all local codes and the installation instructions provided with the appliance. 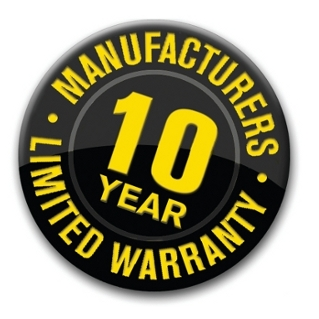 The warranty does not cover damage resulting from use with inadequate or defective plumbing; inadequate or defective water supply or pressure; inadequate or defective house wiring; improper voltage, electrical service, or electrical connections; or violation of applicable building, plumbing, or electrical codes, laws, ordinances, or regulations. THIS WARRANTY DOES NOT COVER INCIDENTAL, CONSEQUENTIAL OR SECONDARY DAMAGES. ANY IMPLIED WARRANTIES ON THE PRODUCT DESCRIBED IN THIS WARRANTY WILL NOT BE EFFECTIVE AFTER THE EXPIRATION OF THIS WARRANTY. Some states do not allow limitations on how long an implied warranty lasts or the exclusion or limitation of incidental or consequential damages, so the above limitations and exclusion may not apply to you. This warranty gives you specific legal rights and you may also have other rights which vary from state to state. Any defects covered by this warranty should be promptly reported to Hague Quality Water International at 4343 South Hamilton Road, Groveport, Ohio 43125. In writing about the defects, please provide the original owner's name, telephone number, and original address; serial number and model number of the product; date of purchase; and name of dealer from whom purchased. Hague Quality Water International reserves the right to replace defective.